What are the best products people have used to help relieve plantar fasciitis pain? 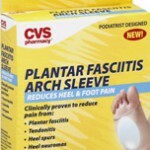 You will find reviews of heel pain relief products here. If you search the internet you’ll find hundreds of products claiming they can help, or even cure, heel pain. It can be very time-consuming to search through all the information to find the product that might work best. Remember, the highest price will not necessarily bring the best result. I am on a mission to find the best products for heel pain relief and to convey appropriate information to you about these products. To accomplish that, the reviews on this site will be as thorough as possible. There is certainly no guarantee that any specific product will give you the same results it gave me or someone else. I do, however, want to provide you with an honest and educated opinion based on experience, if at all possible. Perhaps you have had experience with one or more of the products that have been reviewed. If that is the case, I would love to hear from you regarding your thoughts on the product and how it worked for you – good or bad. I will be doing reviews quite often. The following review list is sorted first by product type and then alphabetically by product. The links will lead you to additional information regarding the specific heel pain relief products. Hi Bill. Thanks very much. If your wife is active along with you the heel pain has to be interfering with life, at least a little bit. I’m always interested in specific products that people have used to help eliminate their heel pain. If she has any thoughts on this, I’d love to know about the product(s). What is plantar fasciitis pain? Plantar fasciitis pain is caused by overuse and overstretching of the plantar fascia on the bottom of the foot. The pain is caused by small tears in the fascia. It can be anything from excruciating pain, especially during the night or first thing in the morning, when you first try to walk on your foot to a dull pain that can be felt throughout the day. Tougher cases can cause higher degrees of pain all day. For more details on the plantar fascia, the foot, and the resulting pain, see my How to Diagnose Plantar Fasciitis page.